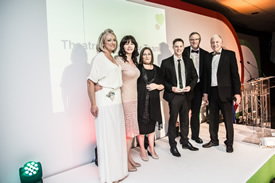 We were very proud to be a sponsor of the Barnsley Hospital Heart awards this year. This event, compered by BBC Look North’s Harry Gration, is a fantastic way of the hospital recognising the hard work and dedication of its tireless staff and volunteers. Barnsley Hospital Charity exists to support care that goes above and beyond, and it is this level of dedication that are recognising on the night of the Heart Awards. The Heart Awards recognises the amazing work staff and volunteers do every year. Having worked closely with Barnsley Hospital for many years we know the dedication of the team, and support the recognition of their efforts and the charity.